[checks the charts] oh. wow. 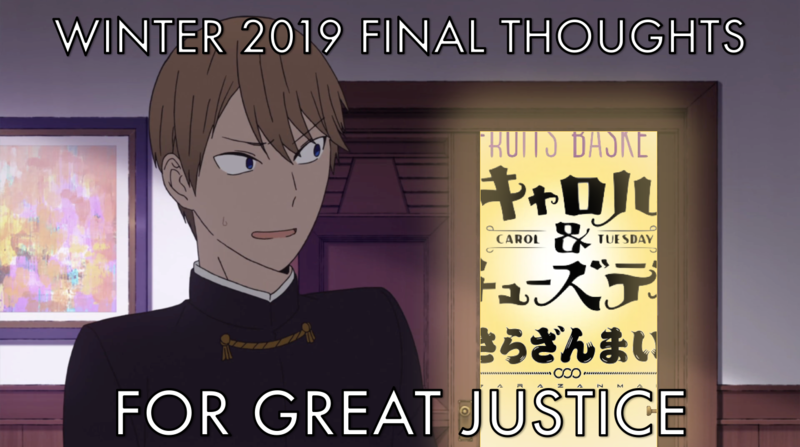 Okay, no beating around the bush, there’s not a whole lot else to watch this season, but that didn’t stop the two of us here at For Great Justice from giving most things a chance anyway and picking up a few surprises. Which other series struck our fancy? 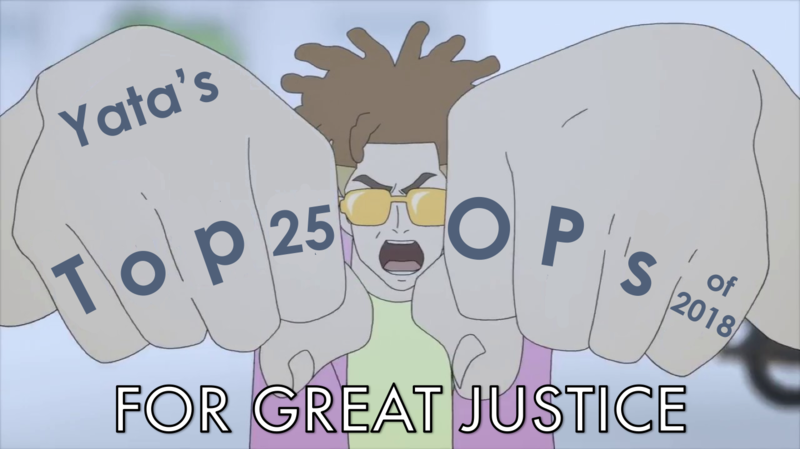 Which will be relegated to the Seasonal Anime Broiler? 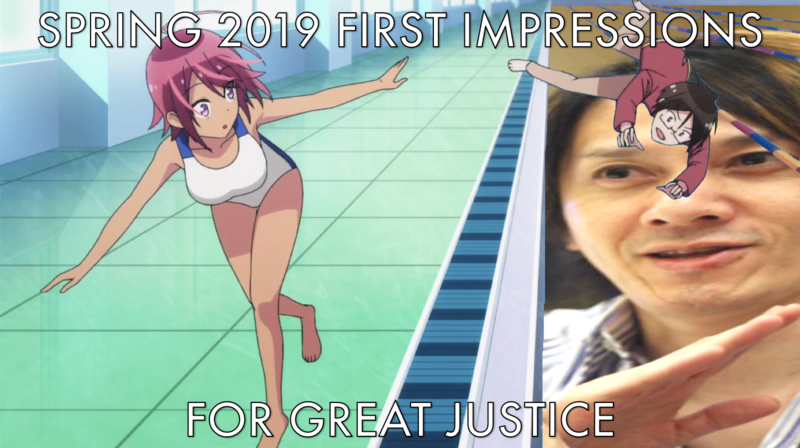 And is Sarazanmai really worth the hype? (spoiler: yes). 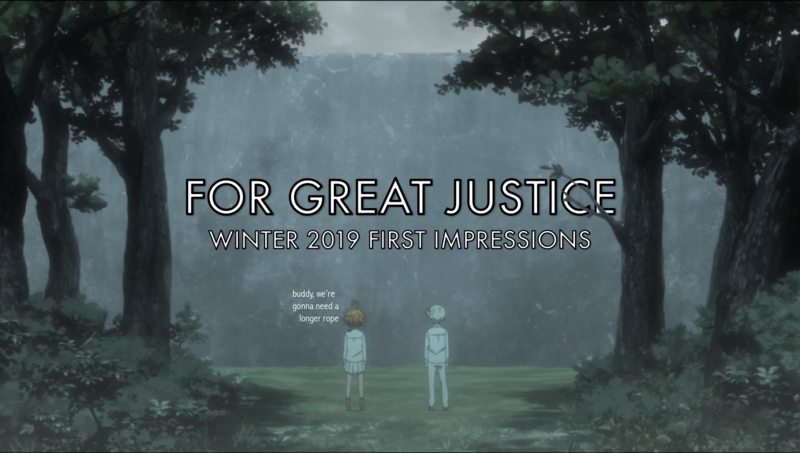 Find out below on this batch of first impressions! 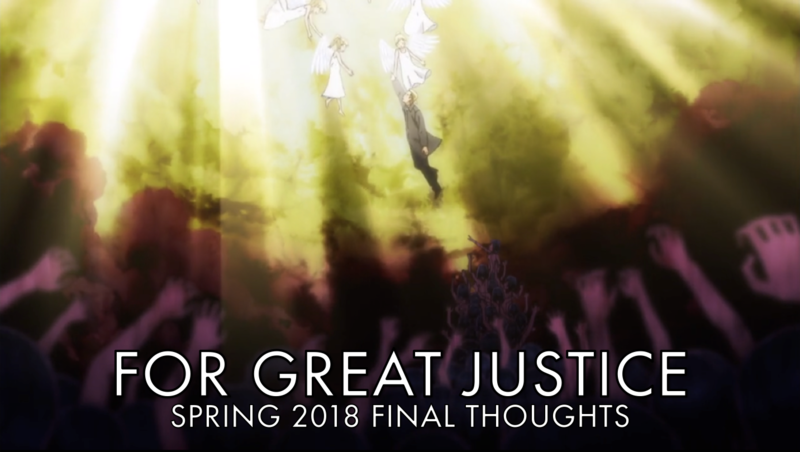 For Great Justice is not dead. 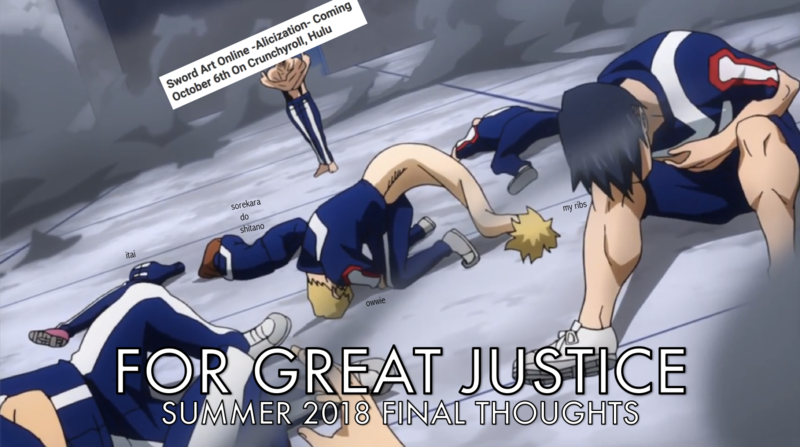 We are merely sleeping, and this post is our middle-of-the-night bathroom break, which is to say the only reason it’s here is because I wouldn’t be able to focus on other tasks without the momentary pleasure of relieving myself of these wonderful, irrelevant thoughts on some anime ending themes. World, get ready to be my proverbial toilet. I can’t. I can’t say it with a straight face. 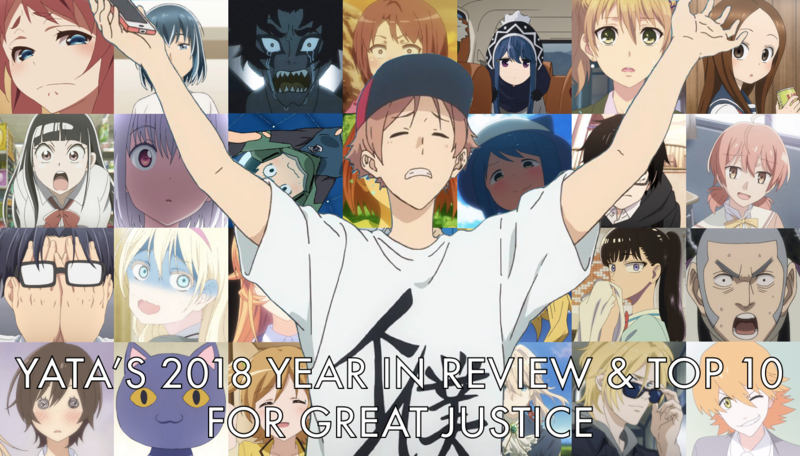 Yata and Haru both concur: this is the weakest season of anime since FGJ began nearly four years ago, and our watchlists are in dire shape. 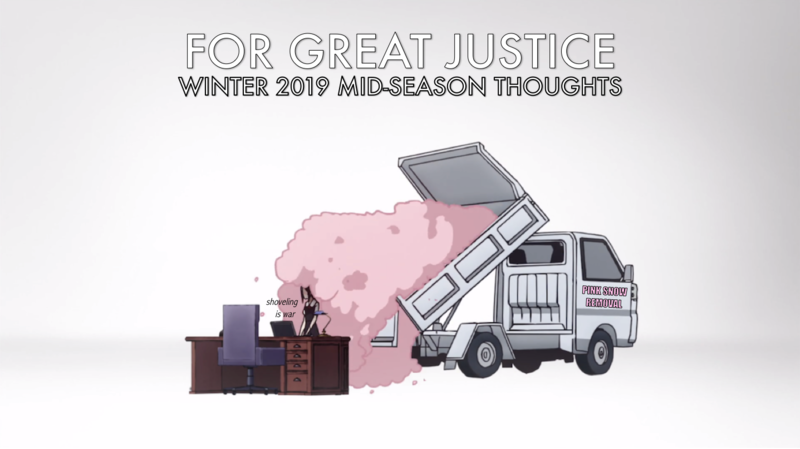 It’s not completely hopeless, and a backlog season is always welcome, but prepare for a lot of disappointment below. 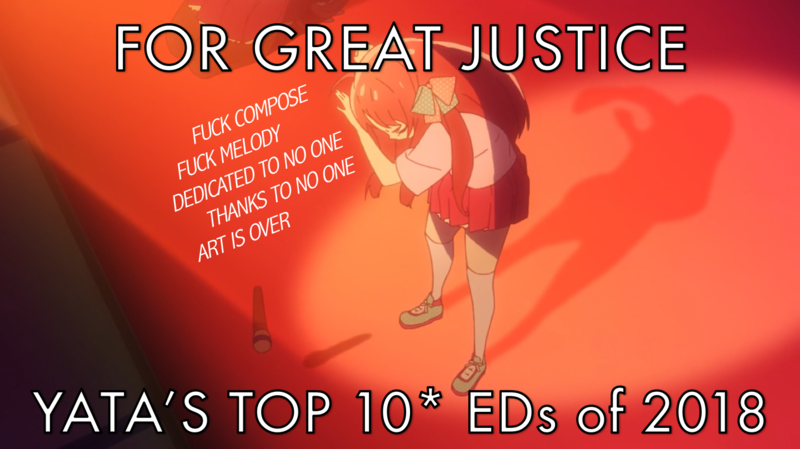 We checked out a combined sixteen shows. We’re sticking with only a quarter of them. Which ones? 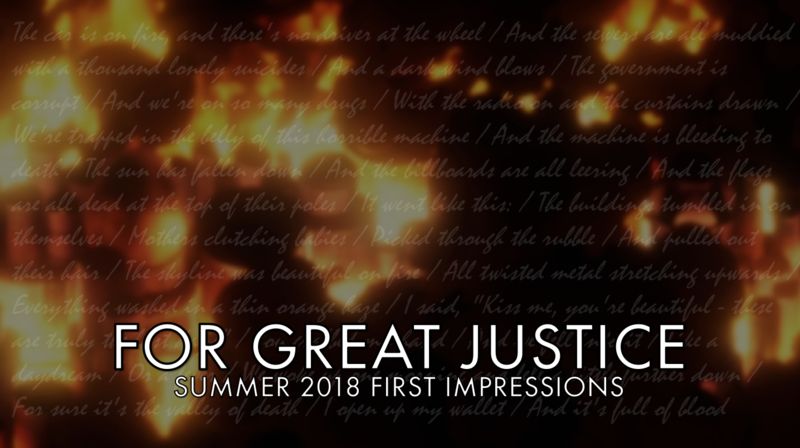 Find out with this uncharacteristically harsh set of first impressions.